Crome Architecture, a premier architecture, branding strategy, and interior design firm, approaches each project with a singular design goal - to reflect each client’s unique and distinct identity. 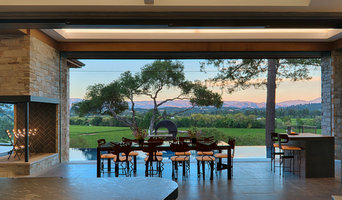 Paul Hastings Design provides comprehensive design services for custom homes to clients in Sonoma County and around the country. Founded in 2003, Bevan + Associates specializes in custom residential homes for families, couples and developers. Based in the San Francisco Bay Area, our projects span the entire country. 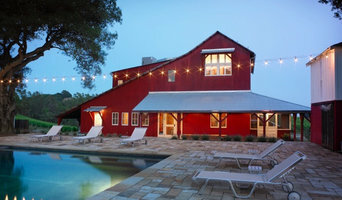 Based in Folsom, California, "Award Winning" designers CrosbyHomeDesign.Com specializes in the design of Luxury Custom Homes and Smaller Commercial Buildings. We strive for an architecture from which multiple readings emerge, exploring the associations of program and space, material and detail, complexity and simplicity. Gary L. Holmes is an architect that offers residential and commercial design services. GLH Construction offers residential construction services. Contact us for your next project! We guide you through a simplified, interactive design process to deliver a high-end prefabricated home assembled on your land—streamlining the building process and increasing predictability. CahillStudio provides innovative design strategies to our clients with a focus on the design of custom houses and vineyard estate properties. We define design as being about placemaking and the craft of building. Design decisions are made through the articulation of ideas that respond to a particular set of parameters. Here at Schwartz and Architecture, we pride ourselves on architectural solutions of clarity, economy, and grace, but always within the pragmatics of a client’s budget, schedule, and needs. I specialize in the design of residential remodels and new homes. I work in many styles, but I have a special place in my heart for lodge style and arts and crafts. Operating out of a converted warehouse in the Dogpatch/Potrero district of San Francisco, Nick Noyes Architecture has found a prominent place in the architectural community of the Bay Region and beyond. Founded in 1992 this nationally and internationally published and award-winning firm concentrates on new residential construction and residential renovations. The firm is noted for consistently producing work that is both rich in formal clarity and expressive of the material nature of construction. On all projects particular attention is paid to client satisfaction, an appropriate response to site and context and the inclusion of environmentally sensitive and sustainable methods. Nick Noyes Architecture is known for working creatively within tight budgets. Extensive travel and residence abroad as well as an education on both the east and west coasts have equipped Nick Noyes to work creatively with a diverse clientele and a geographically varied set of commissions. Nick Noyes recieved a Bachelor of Arts in Architecture from the University of California, Berkeley and a Masters of Architecture from Yale University. Nick is licensed in California and Delaware and is a member of the American Institute of Architects. Along with his practice Nick has also taught architecture at the University of California, Berkeley and most recently as an Adjunct Professor at the California College of the Arts. Backed by 25 years of experience, Zimmerman + Associates has managed to maintain its small size and fundamental tenets while producing a diverse body of work. 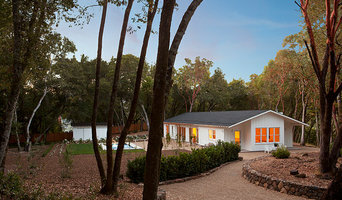 Sonoma County Architecture & Design Firm Best of Houzz 2018! Fernau & Hartman Architects was founded in 1981 and almost immediately established a unique reputation for diversity and excellence in design. Based in Berkeley, California with a field office in Clyde Park, Montana, our work can be found in regions that range from the vineyards of California, to the ranchlands of Colorado, and to the picturesque hamlets of the Hudson Valley and Martha’s Vineyard. Our work combines an understanding of traditional and vernacular buildings with contemporary innovation and a special concern for sustainability. We seek to merge architecture with landscape, and indoors with outdoors, deepening the connection to climate and site. As early adopters of energy-conscious design, our approach always begins with the integration of passive systems, the “first principles” of architecture. Although our work is enriched through diverse interests and concerns, each project finds its point of departure in specific circumstances of the site and our client’s needs. Process is important to us; through collaboration and improvisation, site-walks and workshops, we work closely with our clients to discover and enhance the potential of the place. At LBD we intently focus on the needs of the individual client and bring our experience, creativity and high standards to every project. We possess the experience, ability, & commitment to provide hands-on attention to your project. We know that thorough service specific to your needs is essential for quality & on-budget construction. Terry & Terry Architecture prides itself on its ability to combine innovative architectural theory and practice. The partners, Alexander and Ivan Terry, each have over nineteen years of experience, offering both design concepts and professional production services in architecture. The partnership has experience with a wide variety of projects, including the design of single family and multi - family housing, retail, and office space; tenant improvement; and urban design. They have extensive, unique experience with building construction and fabrication that has enabled them to acquire and refine a first-hand knowledge of the relationship between concept, construction and project realization. The partnership has explored other design concepts in urban design in collaborative efforts with other design professionals. In an attempt to improve the built environment, it has engaged in investigations of several concepts in future infrastructures that integrate architecture and planning. Terry & Terry Architecture aspires to improve the quality of life through design excellence-- thus exploring design challenges at all levels, from furniture design to urban design with a focus on innovation in response to changing conditions. As a local to the Bay Area, Eugene Dvorak has a sense of which design will pass muster and which won’t fly in a strictly regulated eco-conscious community. How do I find the best Kenwood architect for my home design project? It is best to hire a home architect who will be involved in all phases of the design process, from the initial concept to the completed construction. The architect is often the first person you will hire for your project. If necessary, they might also help you select and hire California subcontractors, which can include the builders, engineers and landscaper. Interior architects are also involved in negotiating contracts for all involved participants. It is for these reasons that it is extremely important for you to have a good relationship with the Kenwood residential architect you hire. He or she can be the tie-breaking vote between you and the general contractor and can be your biggest advocate during the construction process. Different architecture firms in Kenwood, CA provide different services, so the scope of the work can span from pre-design environmental impact studies to selecting furniture and finishes, depending on what your specific needs are. It is very important to hire the right professional for the job. Remember that the most well-known or established designer might not provide the best architectural services for your needs. It all comes down to the individual project. Research and ask people whose work you like for recommendations. It's important to have somewhat of an idea of the style of house architecture that you prefer, as well as the amount you would like to spend. 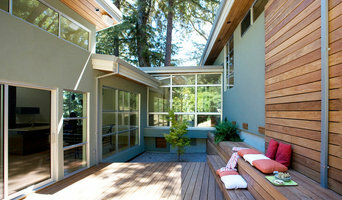 Residential architects in Kenwood, CA are natural problem solvers. They will assess the entire situation and help you to solve your problems too. Don't settle for a single company too early. Call and interview a few. Make sure that you feel like your personalities will mesh well and that you like their professional perspective. Find a home architect in Kenwood, CA on Houzz. Narrow your search in the Professionals section of the website to Kenwood architects. You may also look through photos of California projects to find interior architects and building designers who have worked on a project similar to yours.